Go Bananas, It’s Your Birthday! Every once in a while if feels good to just go bananas, right? Well, what better time to do it then on your birthday. Today, I have a card I made for my mom’s birthday to share with you. 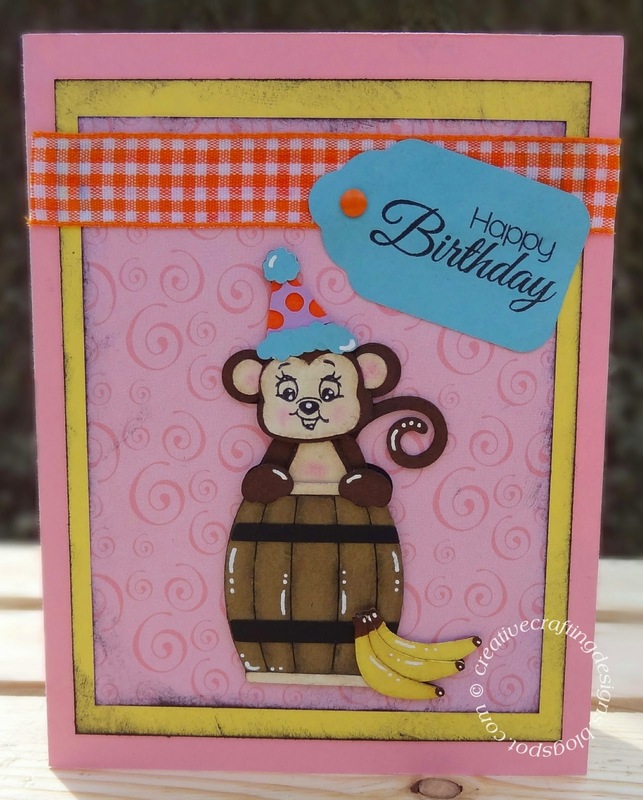 I used my Cricut Explore to cut the card and Celebrate And Go Bananas SVG file by Kadoodle Bug Designs. I inked, chalked and added some white gel pen to give this fun card some texture and depth. I used Sizzix Sizzlits Tag, Scallop die and Jaded blossom “Happy Birthday” stamp from the Simple Sayings stamp set to create the sentiment tag. I also added an orange brad to the tag. To put together all the pieces for the birthday monkey I use the Xyron Sticker Maker. That is one tool I couldn’t live without. I love it so much for little pieces because it doesn’t create such a mess and spread all over things like glue tends to do. Let’s not forget the orange plaid ribbon. It’s a miscellaneous ribbon from my ribbon stash. I felt that it added a nice touch to the card. Now on to the inside. 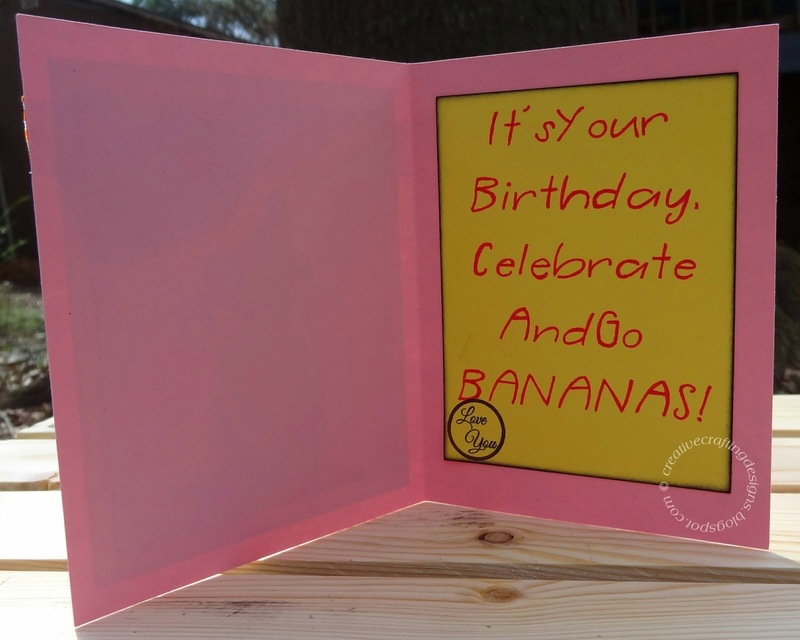 I used my Cricut Explore to write “It’s Your Birthday, Celebrate And Go Bananas!” I used a Pilot Precise V5 pen (it fits nicely in the Cricut pen attachment) and used the font Penelope (handwriting style). I then added Jaded Blossoms “Love You” stamp from the Simple Sayings Candies stamp set. Thanks for swings by my blog!